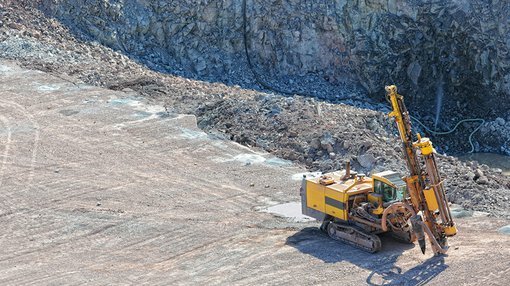 Plymouth Minerals (ASX: PLH) informed the market on Thursday that it had completed the third hole of its phase I drilling program at the Banio potash project in Gabon. The hole was drilled within the Alpha Target area approximately 2.1 kilometres east of the previous hole. Management said that it had intersected multiple wide potash beds in the course of drilling the third hole, and given similarities of visible mineralisation with the second drill hole they are eagerly awaiting assay results. To provide some background, PLH owns both the Banio and Mamana potash projects, both of which are drill proven, high grade, shallow potash deposits. Both projects are located in Africa and have good access to infrastructure, being located on the coast of Gabon and on major transport riverways with direct access to export ports. While assay results are still pending, core samples demonstrated broad zones of visually identifiable carnallite (pinkish red). Of significance is the fact that these features were also observed in the second drill hole. Samples have been dispatched for analysis, the results of which should be available within approximately four weeks. In the interim though, assay results from the second drill hole are imminent, and given the similarities in visible mineral characteristics between holes two and three, these results could see some assumptions made regarding the tenor of mineralisation prior to the return of assay results from hole three. While geological inspection isn’t conclusive, PLH noted that its geologists have a positive stance on what they have viewed to date. Higher grade sylvinite is not readily identifiable as it can be either colourless or pink, and similar to carnallite. Having defined a fault zone which is interpreted to be the boundary of potash mineralisation to the immediate south, and subsequently identified broad zones of potash mineralisation, PLH is now assessing data available and planning the next stage of exploration at Banio. This will determine whether additional drilling will be conducted at Alpha or the larger Ndindi South Target. Should PLH be able to bring one or both projects into production the company will benefit significantly from its location. Brazil is a major consumer of potash and South America is the largest consumer of seaborne potash in the world. However, it should be noted here that this is an early stage play operating in a high risk region. So investors should seek professional financial advice if considering this stock for their portfolio. However, much of the world’s potash is shipped from North America, which is significantly more costly than the much shorter route from Africa. Consequently, African and European producers are often more competitive from a pricing perspective.